The sheer number of active adult communities in Florida can make searching for the perfect one a little bit intimidating. But, if what you seek is affordably priced housing combined with a great location and lots of nice amenities, then you have come to the right place because at StrawBerry Ridge you will find all that and more. 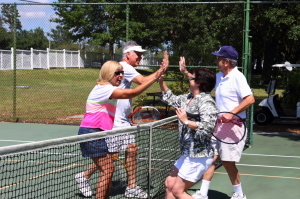 Our 55+ community near Tampa is immensely popular among retirees as well as active adults who are still working. Whether you are currently retired or remain a part of the workforce, living at StrawBerry will allow you to stretch your savings and dedicate your leisure time to staying active and having fun. For additional information about StrawBerry Ridge, and for a current listing of the affordable homes for sale at our community, contact our Lifestyle Team today. We also encourage you to take a tour of Strawberry Ridge and see firsthand why it is one of the top active adult communities in Florida.